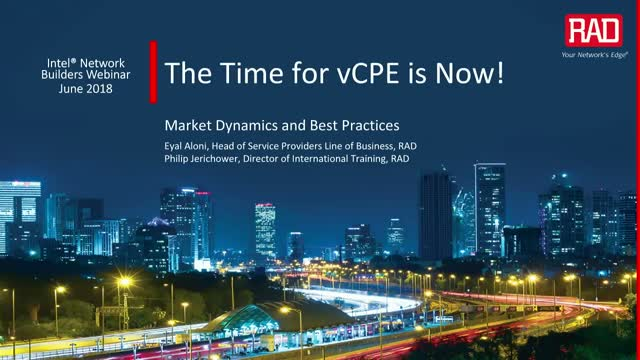 The Time for vCPE is NOW! White boxes may be general purpose, low-cost and easy to commoditize, but they lack many OAM functions and connectivity options that cannot always be virtualized, yet are still required by operators. In this webinar, we will explain how to bridge these gaps by supplementing universal CPEs (uCPEs) with universal access, enhanced performance monitoring and diagnostics, legacy TDM service support, and 1588 timing synchronization. We will also share typical use cases based on real-live experience of tier 1 operators using white boxes for virtualized business services today. Title: The Time for vCPE is NOW!